1.1. 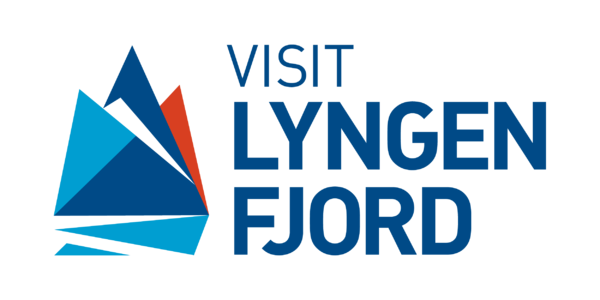 These Terms and Conditions apply when entering into an agreement to rent holiday homes and/or additional services between tenants and ZAPA DA, as a provider of holiday homes and additional services, trading under the brands of Lyngen Outdoor Center and Rotsund Seafishing. 1.2. Information given on the website www.lyngen-outdoor.com, in other marketing material from ZAPA DA and in the travel documents, together with these general terms and conditions, constitutes the whole agreement between ZAPA DA and the tenant. The agreement terms shall, upon contradiction, supersede information given in other documents. ZAPA DA does not warrant for any information provided by any third party. 1.3. The agreement is binding between the parties when the tenant has received a booking confirmation. 2.1. When booking, the first instalment on 20% of the total price is due for payment 14 days after the conclusion of the agreement. When booking online with a credit card, the given credit card will be charged 20% of the total price immediately. All travel documents will be sent to the tenant as soon as the prepayment is registered. Second instalment on 80% of the total amount is due for payment 30 days prior to the rental period, and must be received by ZAPA DA the latest at this date. 2.2. When booking 29 days prior to the rental period or later, the total cost of service is due for payment immediately after the conclusion of the agreement. When booking online with a credit card, the given credit card will be charged the total amount immediately. All travel documents will be sent to the tenant as soon as payment is registered. 2.3. If ZAPA DA shall assist the tenant with the booking of transport, the payment for the transport is due immediately after the conclusion of the agreement. Paragraphs 2.1-2.3 regarding delay of payment for bookings do not apply to the payment for transport. 2.4. If the payment terms in Section 2.1 to 2.4 are not met, this will be considered a material breach and justifies ZAPA DA to cancel the agreement. ZAPA DA will attempt to notify the tenant before the agreement is cancelled. The tenant’s payment obligation is governed by section 4 Cancellation. 3.1. Provided there are at least 56 days to the agreed date of arrival, and that there are available booking alternatives, the tenant is entitled to change the booking. Changes can not entail the rental amount to be less, and the change must be within the same year and to the same destination as the original booking. Fee per change is NOK 300. 3.2. If the tenant has booked transport through ZAPA DA, any changes in the transport booking must also be made through ZAPA DA. The right to make changes in the transport booking is subject to limitations in the transport companies’ terms and conditions, and is only possible to the extent that the changes are accepted by the transport companies. Any and all additional costs and charges for the changes from the transport companies must be borne by the tenant. 4.2.1 If cancelled within the first 10 days after booking, the tenant shall pay a cancellation fee of NOK 500, provided that there are more than 50 days to the rental period starts. 4.2.3 If cancelled 49-35 days before the rental period starts, the tenant shall pay a cancellation fee of 50% of the total amount due under the agreement. 4.2.4 If cancelled from 34-8 days prior to the rental period starts, the tenant shall pay a cancellation fee of 80% of the total amount due under the agreement. 4.2.5 If cancelled from 7 days prior to and until the rental period starts, the tenant shall pay a cancellation fee of 90% of the total amount due under the agreement. 4.2.6 Cut-off time for the above days is the preceding midnight. 4.3. If the tenant can get another person to take over the rental agreement in the same period and at the same price, and this person is accepted by ZAPA DA in writing, the rental agreement can be transferred to this person for a fee of NOK 500. 4.4. If the tenant has booked transport through ZAPA DA, a cancellation of the transport booking must also be made through ZAPA DA. The right to cancel the transport booking is subject to limitations in the transport companies’ terms and conditions, and is only possible to the extent the cancellation is accepted by the transport companies. Any and all costs and fees in connection with the cancellation must be borne by the tenant. 4.5. The tenant must himself arrange for travel insurance and / or cancellation insurance to cover any costs as a result of illness or other circumstances that prevent the tenant from making use of the booked holiday home and / or additional services. ZAPA DA is unfortunately not able to provide insurance to individual resident outside Norway. ZAPA DA recommends that people living in an EU / EEA country, carry their European Health Insurance Card (EHIC) for the entire journey, as well as travel insurance. In the event of cancellation of the stay, the actual cancellation shall be notified to ZAPA DA, while a claim for financial compensation shall be directed to the insurance company. 5.1 The tenant shall treat the property and inventory, and any other material that is available for the tenant, properly. The holiday home and all other material that are handed to the tenant shall be returned in the same condition as it was at the takeover. 5.2 The tenant is obliged to leave the holiday home in a tidy and thoroughly cleaned condition. The tenant shall in particular pay attention to cleaning of the refrigerator, freezer, stove, oven, grill, bathroom and sanitary installations. The holiday home must be left in the same condition as one would like to acquire it. Costs for missing or inadequate cleaning will be billed the tenant. Even if the tenant has booked final cleaning, this does not exempt the tenant to arrange the dishes, empty the refrigerator and tidy in and around the holiday home before departure. 5.3 The tenant is obliged to compensate any damage caused to the property, residence with inventory, boats, engines, equipment etc. and has a corresponding liability for such damage caused by persons participating in the rent or which the tenant otherwise provides access for to the properties. 5.4 The tenant may upon arrival be required to submit a deposit for a total amount of NOK 2000 per unit, and if applicable one boat. For boats beyond this number, a deposit of NOK 1500 per boat may be required. The deposit will be repaid to the tenant when the tenant returns the unit and the boat in the agreed condition. 5.5 It is the tenant’s responsibility to hold the appropriate certifications in accordance with Norwegian law to operate a boat. It is the tenant’s responsibility to acquaint themselves with Norwegian law on fishing tourism in Norway. 5.6 The tenant is responsible to have adequate insurance for the whole length of his stay. The insurance must cover for all the tenant’s planned activities, specifically for costs of rescue operations including use of vessels and helicopters and medical transport to the tenant’s country. 5.7 The tenant hereby confirms his understanding of inevitable risks involved with his planned activities during his stay with ZAPA DA. Specifically the tenant understands the risk involved in outdoor activities such as ski-touring, mountaineering, climbing, hiking, seafishing and hereby declares that he takes them up solely at his own responsibility regardless of using a guiding service if supplied by ZAPA DA. 6.1. Arrival time is at 14.00h, departure time is at 10.00h, unless otherwise stated on our website or in the travel documents. If arrival or departure is between the hours of 23.00h and 07.00h, the tenant may be required to pay a fee of NOK 600 upon arrival at the destination. 7.1. Any complaints must be notified the local holiday home owner immediately and at the latest within 48 hours after the rental period starts or the discovery of the damage/defect, and in any case before the end of the tenancy. If the damage/defect is not or may not be rectified on site, a written complaint must be sent ZAPA DA within 30 days after the rental period ends. ZAPA DA is obliged to answer the tenant within 6 weeks after the complaint has been received. 7.2. There is a defect if the holiday home differs from what is agreed or assumed in the contract and this is not caused by the tenant or due to circumstances on his part. Deviations from the agreed are however not considered a defect if it is of minor importance, or are of a kind the tenant must assume may occur from time to time. The same applies to differences in natural conditions ZAPA DA or the holiday home owner neither knew of nor could have knowledge of or control over. 7.3. Some differences in quality, location, equipment, etc. between the different holiday homes at each resort must be expected. Furthermore, some difference between the homes depicted in marketing materials and the holiday home the tenant actually is assigned must be expected. Such differences do not constitute a defect. The fact that other tenants have a holiday home with a different quality, location, equipment etc. than tenants’ holiday home, does not constitute a defect in the tenant’s holiday home. 7.4. The tenant undertakes to contribute to minimizing damages, defects and flaws, and help to keep losses as low as possible for the holiday home owner and ZAPA DA. ZAPA DA shall be allowed a reasonable time period to correct or remedy any damage or defect. 7.5. ZAPA DA reserves the right to, if possible, and in ZAPA DA’ sole discretion, to remedy any damage or defect by repositioning the tenant to another holiday home of similar price and quality. 7.6. ZAPA DA is only liable for direct economic loss incurred by the tenant. ZAPA DA cannot be held liable for indirect loss (consequential damages) or damage of non-financial nature (ideal damage). Compensation cannot be claimed for any loss or damage caused by the tenant’s own negligence or condition. 8.1. ZAPA DA provides rental of holiday homes, boats and related services. In the unlikely event that a rental agreement is not able to be carried out due to reasons beyond ZAPA DA’ control, that could not reasonably have been expected to be taken into account when the agreement was concluded, and that ZAPA DA could not have avoided or overcome the consequences of, ZAPA DA can cancel the rental agreement with repayment of the already paid rent. ZAPA DA will, however, if possible, and in ZAPA DA’ sole discretion, offer the tenant a similar holiday home. 8.2. ZAPA DA is not liable if the journey is incomplete as a result of obstacles mentioned in Section 8.1 that occurs after the journey has begun. If the journey is cut short by ZAPA DA due to such conditions, or the tenant cancels it due to such conditions, the tenant will nevertheless be entitled to a proportionate price reduction. ZAPA DA, to the extent possible, obliged to eliminate any risk or inconvenience to the tenant. 8.3. All forms of transportation booked through ZAPA DA are the individual transport company’s sole responsibility. Liability in connection with e.g. delays, missed connections, etc., though not limited to this, lies with the individual transport company. Thus, ZAPA DA assumes no responsibility for transport. The transport companies’ terms and conditions shall be provided for the passengers upon request. 8.4. ZAPA DA can not be held liable for loss arising from theft or other external influences which may affect the tenant’s personal belongings, etc. 9.1. If the implementation of the rental is made difficult or impossible due to force majeure events, such as war, natural and pollution disasters, epidemics, closed borders, traffic conditions, arrest in the currency trade, strikes, lockouts, and similar conditions, which could not have been foreseen when the agreement was concluded, ZAPA DA may cancel the agreement. ZAPA DA can not be held liable for any loss incurred as a result of such cancellation. 10.1. ZAPA DA’websites, catalogues and other marketing materials are all subject to errors. ZAPA DA is not economically liable for any typographical or other unconsciously misinformation which may cause damage to the tenant.